Everyone’s got their own opinions on the definition of “influence.” When was someone influential? Why were they influential, who did they influence, and are they still relevant? Earlier this week, Ultra168 posted a list of their “Top 25 Most Influential” which was pretty good, but I’ll take a different approach and submit my own—not based on opinion, but rather clicks and metrics. Armed with a sophmoric understanding of WordPress and Google metrics, I’ve compiled a list of who’s clicked on the most, searched for the most, and which podcasts are downloaded the most frequently. Of course a reasonable argument is that popularity isn’t synonymous with influence, but for the sake of this list, I’ll figure that if readers and listeners are clicking on someone’s name, they’re interested (and therefore infleuenced) by what they have to say. Short of diving into a deep analysis, these are the trends I see, and put in no particular order. So again, this list isn’t my opinion….it’s actually yours. Whether it’s a post, written interview, or podcast, we all seem to eat up information on everyone’s favorite bearded pharmacist-turned-ultra stud. He gives honest and forthright interviews and shows that a top athlete can maintain a full time job and wife and still get it done. Interviews here and here. URP’s most searched-for runner. A lot of the intrigue may come from her looks and her party girl persona, but Jenn is also an accomplished ultrarunner who keeps people guessing. Interviews here and here. David Horton exemplifies old school better than almost anyone. His list of runs is mind-boggling, his races are legendary, and he teaches ultrarunning for pete’s sake. Best yet, Dr. Horton has opinions on the sport and doesn’t shy away from sharing them. Interview here. Western States 100 continues to hold a revered place in the MUT world, and for good reason. The Board has a healthy balance between old and new, and with Thornley as RD, it’ll likely stay at the top for awhile. It seems all Western States news is lapped up eagerly by readers from around the world. LB Interview here. Who doesn’t love Hal? From Brian Morrison’s ode to Hal from ’09 to his long list of admirers today, Hal is another great ambassador for the sport and is always a threat on the trails. He’s got funky style, a wife and kid, a cool running store, a book, and a list of accomplishments many pages long. When Hal talks, people listen. Interviews here and here. If I interviewed Kilian about his sock drawer, you’d listen. If he wrote a post in Swahili about finger puppet shows, you’d click on it and read it. Though he remains a bit distant due to language and species differences (I’m convinced of it), he’s currently the best in the world and holds a lot of influence. Ellie’s done things in the sport that “would never be done” and all with a huge smile on her face. Interviews with her, posts by her, and races she enters are all influential to our tribe. Interviews here and here. The podcasts are ultra-long, but there’s no denying that Ian gets some great shots, scoops, and some informative interviews from the international MUT crowd. He consistently puts out solid work week after week and you all click on it a lot. Site here. The winningest hundred miler of all time, Karl never shies away from stating his opinion or beating his chest. Some people love him, some not so much, but there’s no doubt that the Speedgoat and his eponymous race has a huge amount of influence in the sport. Doubt him? I dare you. Interviews here and here. Let’s be honest. Likely 50% of MUT runners wouldn’t be running today if it weren’t for Dean K. Yeah, he’s a marketing machine and his best-selling book could best be described as “fictionalized”, but he’s done a tremendous amount for the sport. Ask your neighbor to name an ultrarunner, and they’ll probably name Dean. That’s influence. Interview here. “Young Money” is a bit of strange one. Doesn’t race much, and doesn’t write much, but when he does, it’s freaking amazing. One of the few Americans to beat Kilian in the mountains, Dakota writes some hilariously descriptive and revealing pieces about what it’s like being him. His report from the midpack is a must-read. Here’s our interview with him. Another big one. Sure, Vibrams have gone the way of Furbies, but Chris (and everyone from the book) played a large role in shaping the MUT world for a few years and still influence the sport. I’ve spoken with Scott, Jenn, Luis, Chris, and Ted, and all are still significant characters in this wacky world of ours. Ann helped set the bar for what women could do in this sport, and she set it so high that many of her records still stand. She’s famously won Western States a record 14 times, narrowly missing an outright win on a few occasions. After a lengthy absence from public life, Ann is rejoining the tribe and if her podcasts and appearances are any indication, her influence has not waned one single bit. Like Kilian, we’re always anxious to learn more about Anton. Though he hasn’t won a major 100 in five plus years, Anton is still a hugely influential athlete in this sport. His name and “hipster Jesus” image appear on ads from New Balance, Buff, and Ultimate Direction, and Anton is one of the few athletes in the world who seem to make a living as an MUT ambassador. Anton also played a major role in designing minimalist trail shoes and hydration vests that changed the direction of the industry. That’s influence. Interviews here and here. There’s no denying IRF is the leader in overall race previews and information. While the focus of the site is on elites, Bryon and company put out some quality material for all. Interview here. Everyone’s favorite long-haired-ex-addict-turned-ultragod-family-man Tim Olson has a great story that people want to hear. Whether it’s posting about travel, family, diet, or training, Tim wields a lot of influence in the sport and tears it up on the trails. Interview here. When Sage entered the scene, he was one of the first modern-day roadies to try his meddle on the trails. An ex Brooks/Hanson runner, Sage came into running with a stout resume, a solid marketing goal, and ha s racked up some killer wins in the past few years. He regularly posts training videos and has a solid understanding of training and coaching. Interviews here and here. Really one of the first ultra celebrities, Scott had and continues to have a huge influence on the sport, whether it be from books on healthy eating or product design, he has an unprecedented and likely never-to-be-matched seven consecutive wins at Western. I spoke with Scott off the record a few months ago, and he’s got some big plans for 2015. Stay tuned. Interview here. …and finally, all of you. Thanks to all of you for listening, clicking, and having enough interest in this sport to check out the podcasts and read the URP Daily News. A bit self-serving, sure, the Daily News has become a pretty influential page in the MUT world, and it wouldn’t be anything if it weren’t for you. The episodes are heard more than some radio stations and I’m constantly amazed at how many people make the DN part of their daily routine. URP is only influential because you all continue to support it, and I appreciate the heck out of it. Thank You. So who are you surprised didn’t make the list? Who shocked you by making the list? What products/things/races should be included? HOKA, MAP, and “hydration vest” have been searched more than many people. What else? Objectively, which sites should be listed? 20 Responses to "Most Influential Ultrapeople in the US"
It’s a shame Lazarus Lake didn’t make the list. Your interview with him a while back might have been the funniest thing I’ve heard on the subject of running. I agree with this list. Definitely amazing and influential people. You forgot #1- YOU and Ultra Runner Podcast/Daily News! I would love to hear you interview Timmy again about what happened at UTMB and Geoff Roes about his years off… recovery….. etc.. Thanks Meghan. I snuck URP and you guys in at the bottom. Without one, there would’t be the other. I’m anxious to chat with Tim again about his DNF and will do so soon. Nice list Eric, for the most part a lot of what you have lines up with us, but we took a global approach of course. I added a comment to our article about how we looked at influence and we defined it as ‘reach’ I.e. Impact in terms of sheer numbers. Then ‘relevance’ I.e. A softer, more gut feel as to how these people have impacted in terms of causing a movement or shift in our sport or thinking. Interestingly, much of ‘opinionated’ comments we received came from the US. Sure, we didn’t have some very high profile names on our list, but what we hoped it might do is give the global perspective. Great list mate… Keep up the fine work with your website. Good stuff, Eric! This list serves as a great starting point for newcomers to your site who want to explore some top episodes. I want to make a plug for one of my all-time fave interviews you did, because he gives such great history and perspective on the sport: Errol “The Rocket” Jones, https://ultrarunnerpodcast.com/errol-the-rocket-jones/. 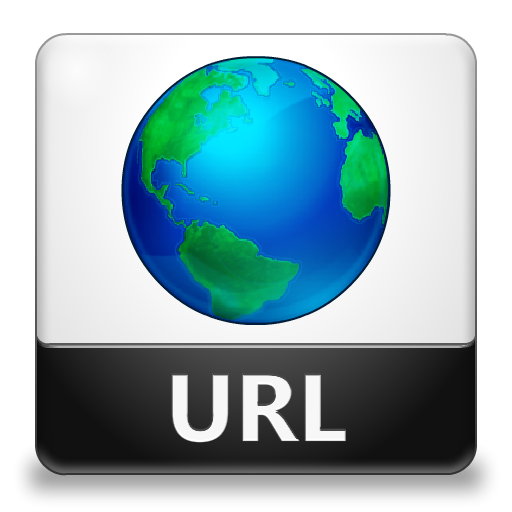 You asked about which other sites or products you should link to or spotlight. I think you do enough linking to other sites and products within each individual podcast post. It might be nice, though, for you to develop your personal recommended blogroll to have on the righthand column of your site (or as a subpage). This could be a mix of personal blogs as well as resource blogs (e.g. run100s.com). Bravo on how much you’ve developed URP. In the vein of “Best Of Lists”…. 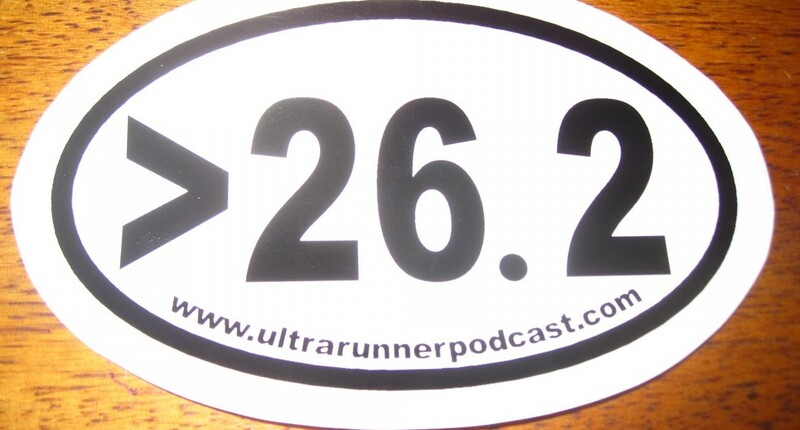 would love to see A list of all the “I’d rather be….. then listening to Ultra Runner Podcast” then we could all vote on top ten? Similarly…. a list of all the songs you have played…. and vote for the Top Ten to run to? As you know I only became a listener/fan recently. You’re a very natural and gifted interviewer. You take every interview seriously, know about your interviewee, and know what you’re going to say next, more or less, and when the chance is there to improvise you take it and usually succeed! As a result your guests are at ease, they open up and you let them talk. Thanks for the amazing efforts to bring these amazing characters to your listeners and to bring this esoteric and crazy sport to the masses. This Most Infliential list is great, right on the money. I’m sure you’ll hear many comments from those who know the sport well, but from a newcomer’s perspective those people/themes are in the spotlight these days. Oh, and I have two pair of NB minimus, one in brown leather that I wear to work almost every day. Bought them 2010 before I knew who Anton was. What about “Iron” Mike Wardian??? The dude is crazy on all terrains, all continents and in all distances from the mile to Marathon De Sables and does it all with such a positive attitude. Even if/when he has a bad day, every race is a learning experience and loves to help everyone run/race at their best. Please reread the first few paragraphs for information about how this list was compiled. Great list, have loved all those interviews! I was esp happy to see how many ladies were on the list, yay URP clickers! Also second Megans post above – both of those lists would be cool! Ah Gerell, I was worried about you. You hadn’t complained about my guests, interviews, or coverage in awhile. Thanks for letting me know you’re OK. In terms of DK’s significance and influence, obviously my 50% claim is a guess. I get a few dozen emails each week from listeners new and old, many of them letting me know how they got into the sport and what’s on their calendar. Based on keyword searches, downloads, those emails, and my opinion, I think 50% is a fair number. I think 50% is pretty conservative, I don’t think that it’s a coincidence that ultra running exploded shortly after Ultramarathon Man was published. No doubt many of the runners who sought out ultras because of Dean would have found their way eventually, but Dean introduced the notion of running through the night to most of us. Didn’t you last guest the model say that it was Dean’s book that got him into it? I read Born to Run because I was in to minimalist running. That was my first real exposure to Ultras. And then of course, I read Scott’s book, which interested me further. All this in 2012, only. Just found out recently who Dean was.